Mostly a TV filmmaker, Tim Kirkby is returning to the big screen for the thriller ‘Waldo’. 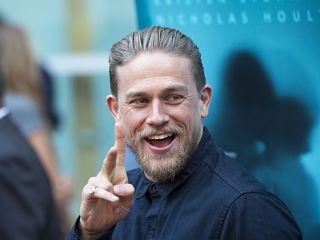 The actor Charlie Hunnam has been announced as the main protagonist alongside Mel Gibson and Eiza González. Inspired by the book ‘Last Looks’ penned by Howard Gould, ‘Waldo’ is an upcoming thriller. Its storyline revolves around a fallen police officer, portrayed by Charlie Hunnam, who now lives as a recluse. However, he is called back to duty following the murder of a celebrity’s wife. Once a Hollywood icon, Mel Gibson has been seen less and less in successful cinematic productions over the past years. He has joined Charlie Hunnam and Eiza González in ‘Waldo’. His famous appearances on the big screen include the ‘Mad Max’ and the ‘Lethal Weapon’ series. Furthermore, as a director, he has won two Academy Awards for his work on ‘Braveheart’, the 1995 war film. Mostly known for his portrayal of Jackson Teller in ‘Sons of Anarchy’, Charlie Hunnam has also featured in numerous movies. For example, he had appeared alongside Idris Elba in ‘Pacific Rim’ and in the biopic ‘The Lost City of Z’. Aside from ‘Waldo’, he has other upcoming projects including ‘True History of the Kelly Gang’ and ‘Jungleland’. The news about ‘Waldo’ emerged prior to the 2018 American Film Market, which was held until November 7, 2018. The movie featuring Charlie Hunnam and Eiza González will begin production early 2019.